2013 has 261 weekdays. 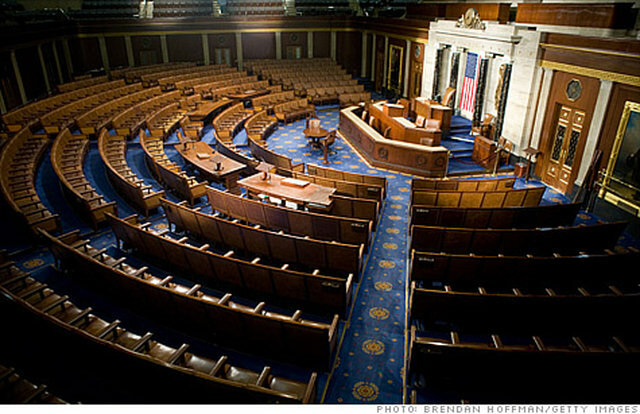 What percent of weekdays is the U.S. House of Rep. planning to work in D.C.? Members of the House of Representatives are planning to spend less than half, 49.5%, of weekdays working in Washington, D.C. These include all days the House plans to be “in session.” Do you think you could do your job and get results if you work less than half the weekdays in a year? Members of Congress spend part of their time in Washington, D.C. representing their constituents, but they also spend time home in their districts working with their constituents. Take this quiz to find out how many weekdays members of Congress plan to spend in Washington working to solve our nation's problems. As a comparison, if you are a worker that receives roughly 10 days off a year (ex. 10 holidays, 10 vacation days), you would work 92.3% of the weekdays in 2013. Join the Don't Come Home: No Deal, No Break cause to receive updates about what you can do to pressure your elected officials to stay in Washington and get the job done.